Nyla Gaylord is a lifelong resident of Orleans County and lives in Clarendon. She and her family have been patients of Oak Orchard Health Center since the early 1980’s. She brings to the Board extensive experience in not-for-profit leadership and is currently the Executive Director of the Genesee Orleans Ministry of Concern, Inc.
After living in Albion and commuting to Rochester for more than thirty years, in 2010 Nyla returned to her family home in Clarendon with a vision of working locally while creating a homestead farm and business on her 18 acres of scrubland on the Clarendon Lindon Fault, an area that experiences frequent tremors. Thus, was born Quaking Hill Farm, where she and a partner raise and sell free range chickens, eggs, turkeys, goats and rabbits. The farm stock is guarded by Twinky the donkey and Bo and Patsy, English Shephard guardian dogs. The menagerie is completed by a white Labrador retriever named Via and Louie, her macaw that spends summers on the front porch. 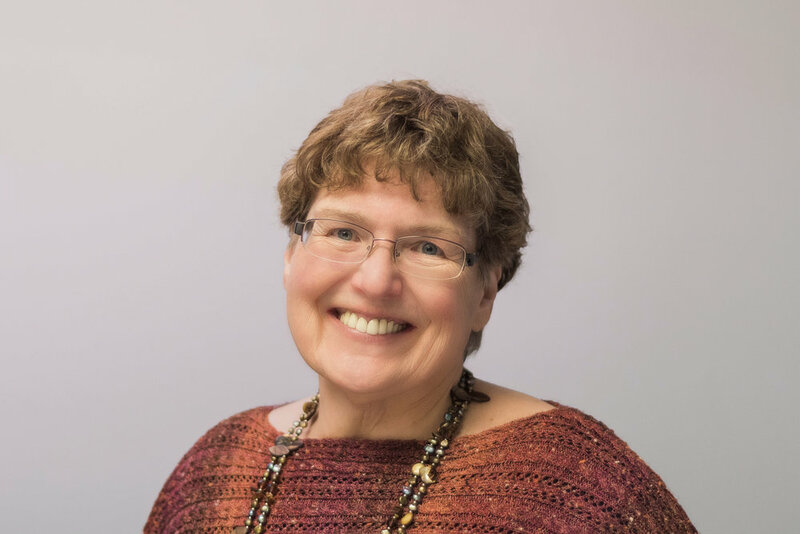 Since 2015 Nyla has been primarily employed in Orleans County and has worked as Development Director for Hospice of Orleans, as a free lance grant writer and at the Ministry of Concern. Previous employers include Rural Opportunities (now Pathstone), Regional Council on Aging (now Lifespan), Rochester Rehabilitation Center, Coordinated Care Services, Inc. (CCSI), Marketview Heights Association, and the Urban League of Rochester. Working for these various organizations has given Nyla extensive expertise in not-for-profit leadership and management, program development, and insight into the challenges faced by farmworkers, low income people and people with disabilities. Nyla’s career in human services has been informed by the challenges of co-parenting four adopted boys with special needs and as foster parent to six adolescent boys. As a single parent she was a foster parent for two adolescent girls. Now that all of these children are adults she continues to provide support and advocacy to help them live independently. Nyla holds a Certificate of Advanced Studies in Disability Studies from Syracuse University, a Master’s Degree in Liberal Arts with a concentration in Public Administration from The College at Brockport, and a Bachelor of Arts in English Literature with minors in Writing and Education from Houghton College.